The very brilliant success which has been achieved by the Americans at Panama forms a striking example of the value of a single organisation in the carrying out of any national or community scheme. It proves beyond question of dispute that whatever the organisation may be—whether it be formed under the State under any form of local government or under a specially created body it must have under its control every activity necessary to the success of the venture. If success is to be gained nothing must be left to chance. All things great and small must be carefully considered and provided for. Unfettered complete control must be given to one master mind, who should have the power to associate with him experts in all these branches of work necessary to the fulfilment of the undertaking. The final accomplishment must result from the close co-operation of many trained minds working in harmony for one ideal—the realisation of the vision of great achievement. Those engaged in the work must be free from any speculative financial interest in it. All these elements of success were present in the organisation which the Americans formed, and were conspicuously absent in that of the French. The gigantic failure of the French was the result of the promoters, shareholders, and all officials connected with the work at Panama concentrating their attention not on the success of the Canal as a great inter-nation undertaking of world-wide importance, but rather on the profits they were likely to get out of it. There was no master mind. The great international value of the Suez Canal completed under De Lesseps in 1869 appealed strongly to the imagination of the whole world. De Lesseps became a universal hero. Especially was he worshipped by the French, and when he proposed in 1875 to form a company to procure a concession for the building of a canal at Panama the country rose in his support. £12.000.000 was asked for: £52.000.000 was subscribed. "De Lesseps has cut a canal at Suez and must therefore be a great engineer, and can cut a canal at Panama. The fact that he was not an engineer, but only a company promoter was, in the fullness of his fame forgotten, as was also the fact that to dig a ditch through the perfectly healthy sandhills of Suez was a very different task from that of carrying a canal through the deathful tropical jungle and over the mountains of Panama. The Americans have succeeded where the French failed because they have carried out a great work of Peace exactly under the same administration and organisation as have been proved to be necessary in carrying to a successful issue, the Art of War. The building of the canal, the laying out of the towns and the erection of all buildings and works in connexion with them were in fact carried out by American Army engineers. At first in 1904—-when the United States took over the works from the French—the Americans made the serious mistake of creating a constitution which provided for a Governor of the Canal Zone, a Chairman of the Canal Commission, and a Chief Engineer. It was soon found that the overlapping powers of these officers led to friction: this, together with the fact of the interference in control by officials in Washington, seriously hindered the progress of the work. It was, therefore, a master stroke of policy on the part of Mr Roosevelt in 1907, when he appointed Colonel G. W. Goethals to be both chairman of the Commission and Chief Engineer, with complete control over the whole of the Canal zone. Under this new constitution there was no more delay. The work went forward with extraordinary rapidity, and without a hitch. The difficulties met with were these which Nature created. These were successfully surmounted, and the whole of the work stands to-day as a great masterpiece, an outstanding object lesson for the world's wonder and education. It shows what great things can be accomplished for the benefit of humanity if the old methods are abandoned and outworks carried out —as was this one —by the complete co-ordination and co-operation of all concerned. It is in this way our present cities must be improved—our new ones built. The general form of the Canal itself is now well known the world over but it is perhaps not sufficiently realised that the country through which it passes is extremely beautiful, and that the towns which have been built by the Commission are as interesting, as examples of town or city building, as are the locks and canal works from an engineering point of view. The Canal Zone under the control of the Commissioners is a strip of country 10 miles wide, stretching right across the Isthmus from shore to shore, a distance of 40 miles. This area is rented in perpetuity by the United States from the Republic of Panama, for the sum of £50,000 a year. Within this belt the only part not under the complete control of the Commissioners is the town of Colon, at the Atlantic end, and the town of Panama, at the Pacific end. Colon came into being in the middle of the 19th century, when the railway across the Isthmus was built by a French company, and Panama has grown from the city founded by the Spaniards in 1673, after the destruction by Morgan, the buccaneer, of an older city established in 1519. Panama may, therefore, be regarded as the oldest city in the Western World. Even in these two towns, which are integral parts of the Republic of Panama, the Commissioners are given power to supervise the whole of the sanitary arrangements - of this power they made good use, and both towns were subjected to a thorough cleaning up. Roads were formed to take the place of the insanitary ditches which ran down the centres of the streets; a drainage system was carried out, and a good water supply installed. Still, this is not sufficient to make Colon an attractive town. Narrow streets, lined with two storey wooden buildings, with verandahs and balconies, and occupied by as mixed a population as is to be found in any spot on earth. Panama, the capital, has also a mass of old wooden buildings, but the wealth which has come to the Republic as payment for its concessions, has enabled it to build some fine modern works, notably the National Institute or University, the City Hall, the Theatre, and interest centres in the Cathedral —a Spanish Renaissance work, completed in 1760. All these are surrounded by well-laid-out, open spaces, grassed and planted, the cocoanut palm forming a striking feature. Adjacent to these old towns are the new ones built by the Canal Commission—Christobal, joining with Colon, Balboa with Panama. Balboa is in two distinct portions, one for the Americans, the other for the native employees. 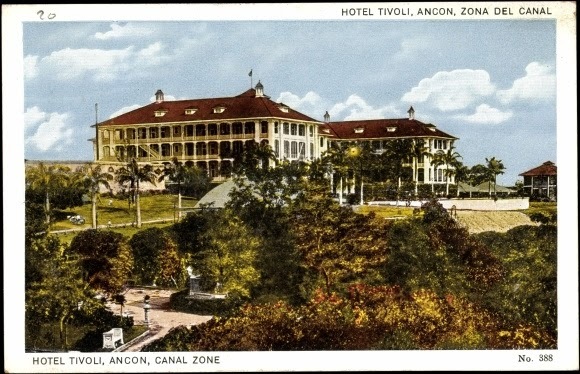 That for the Americans —Ancon—is built on a high plateau formed by the spoil taken from the Culebra cut and commands a magnificent view of the Ray of Panama, at the entrance to the Canal, and of the first series of locks. 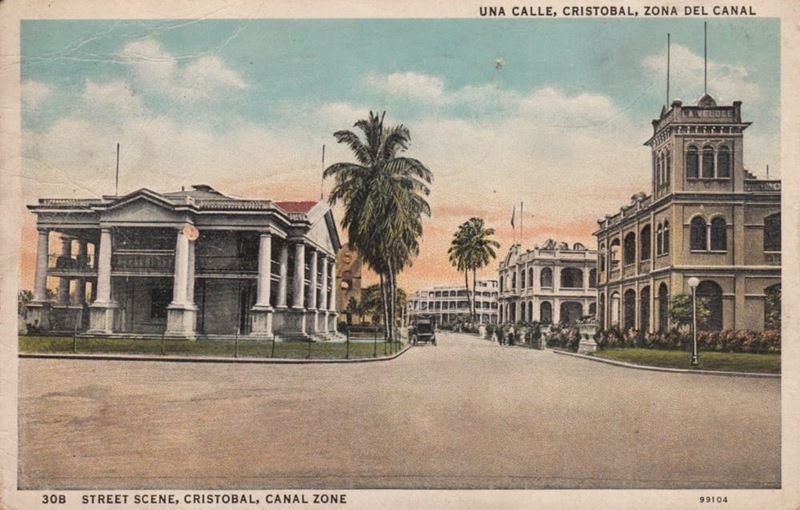 This is the capital of the Canal Zone, and the site of the fine block of administrative buildings. The buildings and houses are grouped on true town-planning lines, around large, open spaces, or along parkways. The residential roads are in some instances narrow and well sheltered by palms, forming beautiful shady retreats from the burning rays of this tropical zone. Although we passed through in the wet season, and in the hottest month, we were fortunate to have a fine bright day—September 14th —a temperature of only 84 degrees, tempered by a cool breeze. We saw the whole district therefore under most favourable conditions, and the impression created was one of extreme beauty. Combined with this triumph of engineering is an example of the expenditure of time and thought in the endeavour to make the whole work not only successful but also beautiful. Success in this endeavour is as full and complete as is the triumph of engineering. There is not a discordant note. Science and art and Nature are here combined to produce a beautiful and impressive whole. All the buildings are of one style, spoken of as the "Spanish Mission Style." They are very simple in character, with broad horizontal masses, well-proportioned fenestration, low red tiled roofs, with deeply overhanging eaves. They are of concrete treated to a pale buff colour. The sites are excellently chosen or made —it is already difficult to tell which, for Nature here in this warm and wet region is fast covering up the evidence of the liberty man has taken with her: the excavations along the Culebra cut and the spoil which has been thrown out are quickly being covered with luxuriant foliage. Soon it will be impossible to realise where the work of man leaves off, and that of Nature begins. All this science and art, and our enjoyment of it, is made possible by the conversion of what was a malarial pestilential region into a perfectly healthy one by the self-sacrificing labours of the medical staff to look after the health of the workers. At the head of this staff was Colonel Gorgas, and the work accomplished is justly regarded as the greatest conquest over disease and death the world up to that time had seen. The Americans had the advantage over the French in that—the science of healing and the knowledge of preventive measures had advanced considerably since the French commenced their work. English physicians had proved that any disease could be transmitted by insect bite and that the bite of a certain kind of mosquito was the cause of malaria. American physicians had proved that another kind of mosquito transmitted yellow fever. Both these and many other species— 50 of them were present at Panama —the air was black with them, and the task of the medical staff was to get rid of this death dealing plot—a task so successfully accomplished that not a single mosquito was seen during our journey through and out our stay in this region. It is literally a case of pouring oil on the troubled waters, for at the head of every stream, every rivulet, which finds its way into the zone, are placed large tanks of oil continually dripping on to the water, spreading as it flows, and as is well known, forming the thin scum under which no larvae can live. Continued vigilance is necessary, and therefore a large army of workers is still maintained to fill the tanks and to spray with oil or poison all marshy places and stagnant pools. As an extra precaution all the houses and hotels are provided with insect-proof screens. Hospitals and dispensaries, comparable with the best, have been built in the new cities and at suitable places along the canal, where all the employees of Commissioners get advice, treatment, and medicine free of charge. Thus is the health of the people assured, and their material welfare, education, comfort, and happiness no less, for not only are the houses provided for the 10,000 employees under the Commission, but large stores are built and managed by them, where everything required to clothe and feed this "army" can be obtained at prices free from any suspicion of profiteering. Large laundries have been erected. Schools and colleges have been founded, and well equipped and free transport granted to all white children to reach them. Well-furnished libraries, reading rooms, and club houses have been provided, places of entertainment built, companies of players and musicians engaged. The Y.M.C.A. organisation, which has done good work here as elsewhere, has been very liberally supported, and the salaries of many of the officials paid by the Commission. The Commission are also the builders and proprietors of two very fine hotels—the Washington and Christobal —on the shores of the Caribbean Sea, and the Tivoli at Ancon, overlooking the bay at Panama. These were built and are maintained for the higher officials and for the thousands of tourists who will as a result of the Commissioners' foresight flock to the canal zone. Independent settlement will not be encouraged in the zone area. It will be kept under the complete control of the Commissioners, who have already established a large experimental farm close by the Chagree river, and have ranches on which there are already many thousand head of cattle. The Chagree river falls into the canal near its centre, above its highest locks, and is harnessed to supply all the power for the locks, the railway, and the towns. The completion of the task of the Commissioners is not yet. Before many years have passed the canal zone will be widely known as an example of successful agricultural and industrial development; famous also for its City Building, as famous as the canal which now passes through it. 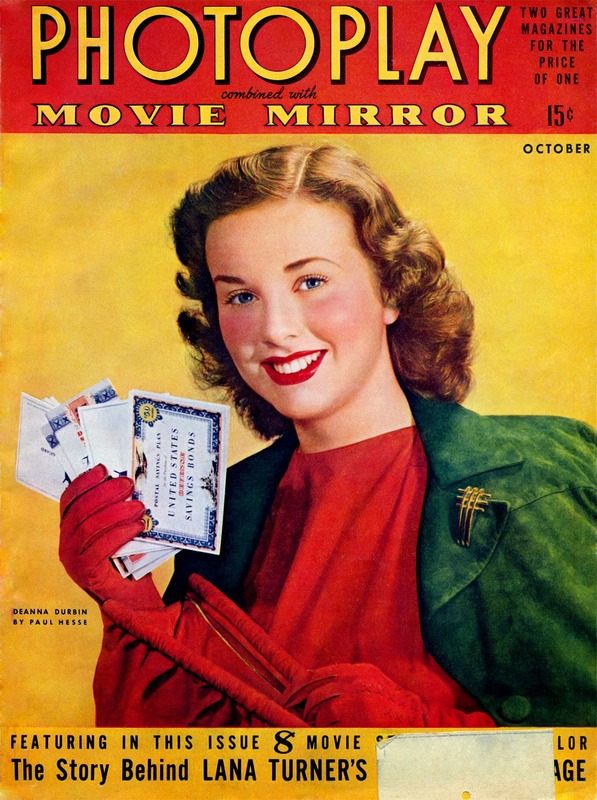 Deanna Durbin, Mr. Snelling reports as attractive, unspoilt, living in Laughlin Park, opposite Cecil B. de Mille's place, in an outwardly unpretentious Spanish Mission type house, which almost abuts a private road, with a garden on a hill slope overlooking the film city, a swimming pool, aquarium and statutes (individually floodlit at night) landscaping, and an interior richly decorated in period fashion. Her mother and father live with her. 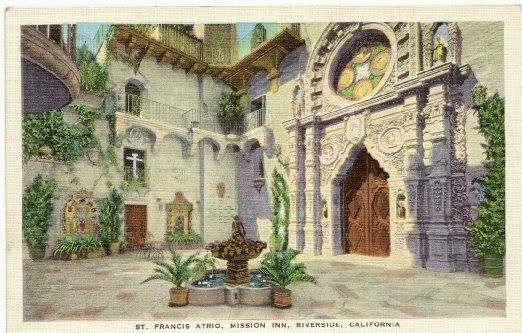 Among the vivid impressions received by travellers visiting California for the first time, are the beauty of place names and the use of the Spanish mission style of architecture in the building of homes and other buildings. And one learns, if he did not know it already, that this is the result of the Spanish occupation of California when Spanish priests laboured there, nearly 200 years ago, building missions which are standing to-day, just as the sweet-sounding names survive— Santa Barbara, San Louis Obispo, San Miguel, San Gabriel Archangel, San Fernando, San Francisco, Sacramento—all relics of the days when Mexico included Texas, what is now New Mexico and Arizona, and extended northward beyond San Francisco. At Juarez, the old capital of Mexico, across the Bio Grande from El Paso, there is a cathedral which is over 300 years old and has no metal work in its structure, because there was no iron to be had. It is of adobe and wood, except for its peal of silver bells. From such ancient backgrounds Father Juniper Serra, the pioneer of Californian missionaries and his fellows started out to blaze a trail which was to be known as El Camino Real—the King’s Highway —and to extend along the coast from San Diego to San Francisco, where today stands the old Mission Dolores, built in 1776, to be an oasis of peace, though the priests never dreamed that a busy city would be built around it. This mission, however, was far from being the first of this chain of memories in stone. 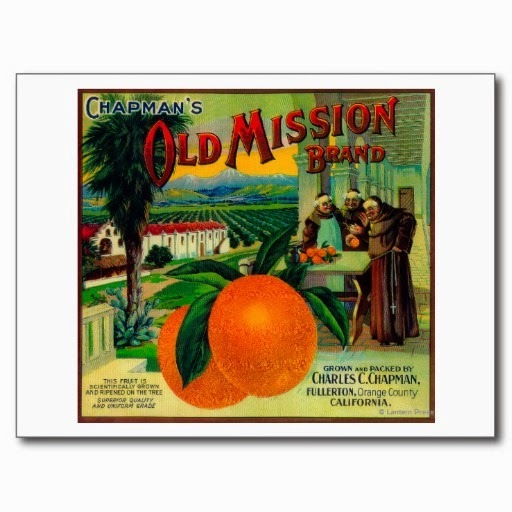 The first mission was built at San Diego, where Father Junipero and his helpers, who had come overland from eastern Mexico, awaited the arrival of others who were travelling by sea on a long roundabout course. These ships were bringing provisions, and their late arrival caused dismay in all hearts save that of the gallant leader. From San Diego the priests travelled on horses or mules, and at the end of each day’s ride Father Junipero Serra dedicated a mission to be a resting place and house of worship for other devout travellers, so that the missions stand at distances of from 20 to 30 miles apart, depending on what speed the worthy father made on each day’s journey. But he travelled rest fully, since there was nothing to hurry for, with civilisation far behind and all eternity before. The second mission was built at Monterey, on Monterey Bay, a place which was destined to become the first capital of California. This was the San Carlo Borromeo Mission, built in 1770. It is well preserved to-day. All the missions erected during the first ride northward of the fathers have not survived. Some of them were rebuilt, though in the main the patient work of the priests and their Indian volunteers remain. They adhered to the true Spanish style of architecture, and their work is, today, a model and inspiration not only to Californian architects, but to New Zealand and Australian architects, too. In modern buildings in Auckland, for example, such as the Grammar School, the influence of the old mission style can be seen. One of the missions pictured on this page shows distinct resemblance to the Grammar School. The Carmel Mission, built in 1771, was one of the first four missions to be built, and was for years the capitol of all the missions. 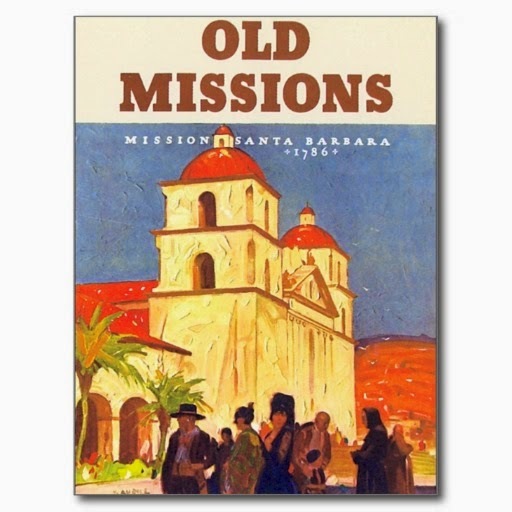 One of the most beautiful buildings is that of the Santa Barbara Mission, at the city of that name. Enclosed within its walls is a Forbidden Garden, into which woman was forbidden to step. In the building of the missions the Indians provided the labour, and the style was the Spanish renaissance. They were built of heavy adobe and masonry. Indian neophytes, ready pupils of priests who were skilled artists, painted the ceilings and carved wooden altars. Near each church was always a graveyard, and these, too, remain to-day, some of the lettering on the old tombstones being sometimes decipherable. The unaffected simplicity and unostentatious grace of the old Spanish architecture which is found in the missions, are revelations of what true artistry can be. One cannot help wishing that some of our well-meaning builders of mansions in New Zealand who affect this style could visit California and see for themselves, not only the original buildings, but the beautiful modern homes, often grouped in garden suburbs, built in the mission style and true to type, in every detail, even to the bold colouring in bright blues, yellows, reds and greens, with old-fashioned designs of metal work in hinges and latches and other fittings, old-fashioned tiles and no guttering or spouting on the outer walls. In the blazing heat of California one would expect to see wide verandahs, such as mark the colonial type of buildings of Australia. In the mission style, however, there were no verandahs. Instead, there were cool colonnades, with the sun’s rays well diffused by the roofs and masonry overhead. Often these colonnades opened on to enclosed gardens, where fountains played. The priests knew that while the heat at times would be intense, the weather could also be very cold, and the best way was to keep both heat and cold out. They built as they did in Spain, for warmth in the rooms in winter, and coolness in summer, in the latter case by shutting out the burning heat, and letting the cool air from the fragrant courtyard drift into the rooms. There is one perfect example of Spanish style in Australia. It is the homestead of the station of Bar-Yugil, near Yugilbar, on the North Coast and so, few people ever see it. Its suitability for the hot summer weather of Australia could be seen on hot days, when the fountains played in the courtyard, over which a striped canvas blind was stretched, and the windows and shutters on the outside of the rooms were shut. On the inner balcony one could lean over in the cool air, watch the fish in the fountain and smell the scents of the flowers, while outside the temperature raged in the 100’s. How suitable for parts of New Zealand would be this Spanish mission style! In places, except in the height of summer, verandahs are too cold. But rooms with the sun pouring into them from unshaded windows are delightful in winter, while in summer, the courtyard could be a place for cool delights, even to dancing, since that attractive exercise never flags, whatever the season. After supper some played bridge, whilst others talked shop and unfolded new screenplays, Strange as it may seem, this is a very favourite pastime at Hollywood's parties. Books are also discussed, and it may interest quite a few that Bebe Daniels is an assiduous book collector. Some of the most original parties are given by Aileen Pringle, who has a lovely Spanish mission home. It appears that the height of ambition of every moving picture star is to possess an Italian or Spanish house, a Rolls Royce, and a white police dog. Carmel Myers, Florence Vidor, Lilian Gish are apparently not such very extraordinary people. Some may be glad to hear this, whilst, of course, others of a sensation loving disposition will be most disappointed. Dr Newman, the chirpy little ex-M.HR. for Wellington Suburbs, has been loading up the Wellington Natives' Association with reminiscences of his recent trip Home. He went to all the music halls in London, and didn't manage to capture a single fresh joke to take back to New Zealand. But he found out there were 14,000 odd motor-cars in the streets of the big metropolis, and he is quite convinced now that for traction purposes the gee-gee has got to go. The motorcars, he said, could run up and down the Karori hills as easily as they could run along the Wellington flats. The little doctor seems to have had plenty of attention paid to him during the Jubilee time, for he naively remarks that whereas on the occasion of his previous visit home nobody seemed to care two straws about the colony (and, as the greater includes the less, about Dr. Newman either presumably), yet, during the Jubilee, all Antipodean visitors were overwhelmed with kind, generous, and hospitable treatment.' The ex-member for the Suburbs is quite out of conceit now with New Zealand architecture. All the new style of houses in England,' he says, from the 15s. suburban villa to the mansion, are beautiful the houses in New Zealand are as ugly as possibly can be. I own two so I can speak with authority.' Finally, Dr. Newman wants the Wellington Natives' Association to help the Rugby Union to send home a team of footballers, and promises them a big reception. "Pars' About People." Observer, 8 January 1898, 6. LONDON, January 10. It is good to find that at intervals during that vast and difficult operation of removing the beams from poor old England's eyes, Mr P. A. Vaile can occasionally spare time to consider the motes in the eyes of other countries. Alas, that it should be so, but Mr Vaile has discovered something wrong with New Zealand's vision. Whether it is a recent discovery or not I do not know, but though the New Zealander seems to have taken root in the heart of the Empire, he still maintains his interest in the Dominion's welfare, and he is troubled concerning certain motes in her eyes. What these motes are your readers may easily ascertain from an interview the writer had with Mr Vaile a few days ago. "Do I ever want to be back in New Zealand?" he echoed, in answer to my question. "My dear fellow, there is only one thing wrong with New Zealand. She is too far from anywhere, and doesn't know it. The finest country in the world and the slowest in some ways. A land bigger than England, Scotland, and Wales together, with less than the population of a London suburb, and no third class passages available for months. If they knew their business they would be running steamboats and fast, cheap boats, too, instead of the things that are going now. The speed, the accommodation, the cuisine, and attention on some of them is a disgraceful joke, while the neglect of the cable service is a crying scandal to the Home Government. Fancy 3s a word to New Zealand in 1912, for the recent reductions are, by their conditions, merely farcical New Zealand," Mr Vaile went on, "is especially blessed in many ways. Its climate, scenery, and sport are magnificent assets, but poorly developed." What do you think of the future of New Zealand, Mr Vaile?" "The future of New Zealand will be great if we can only persuade the New Zealander to cultivate some ideals. At present he has none in art, literature, architecture, or I regret to say it in, if I may use the word, national pride. In a kind of way he is proud of his mutton, his butter, and his football, but he is dead to the higher appeal of culture in almost any form. New Zealand must try to raise some big men. She will never do that until she shows pride in and loyalty to her aspiring citizens. The habit of cheap depreciation is too prevalent. Let me give you an instance of what I mean. An Auckland candle-maker complained to an Auckland paper that his candles never got any notice in the local paper. 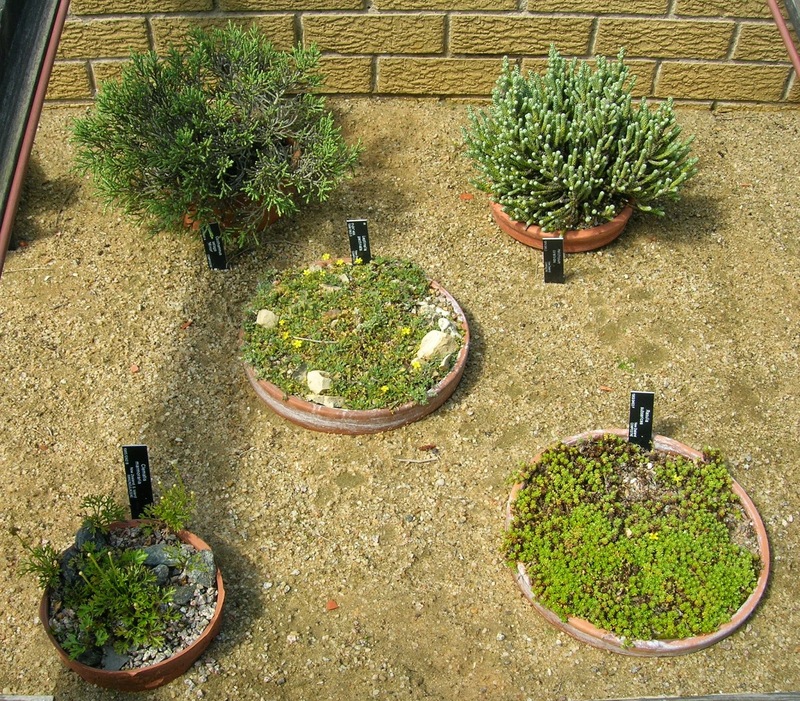 The editor, who was seeing him by appointment, produced two samples. One was the 'Southern Sperm,' made in Dunedin, the other the 'Auckland Light.' These are not the names, but they will do. The editor explained to the candle manufacturer that so long as Dunedin could turn out such superior articles he could not conscientiously praise his wares. To cut a long story short, the old candle manufacturer, after he had played his fish for a time, told him that both candles were made in the same Auckland factory, and that if he would send down to his printing department he would find that he had an order in hand for 10,000 packets for 'Southern Sperms' made in Auckland. This perfectly expresses one of New Zealand's greatest weaknesses. There is too much of the spirit of the Southern Sperm about her. Unless she takes pride in her race, in her people, in their deeds, in their ideals, she will never be anything." "What exactly* do you mean by ideals?" I asked. Well, you know that Lord Plunket told New Zealanders that they had no architecture. How do you encourage your architects? You give important work to outsiders, who are proved to be miserable plagiarists of contemptible edifices. Is it likely that this will produce architecture in New Zealand?" "But that is only one instance," I objected. "It is typical of much that goes on in public life," said Mr Vaile. "There is no looking ahead. Everything is of the little, and temporary, and mean order. Much of what l am saying is of general application, but let me be specific and tell you a few things about Auckland, the place of my birth, one of the most beautiful and desirable places on the earth in which to live, if those who are responsible for the management of it would give it a chance. I noticed recently that a town in America had appointed a business manager. Auckland might with advantage follow suit. "Now to my instances. When I was in Auckland the roads were a scandalous offence. They are still the same. I indicated then how they might be made good, as I did six years ago in the case of the Thames Embankment, which is now constructed as I suggested in my article in the 'Daily Mail.' I mentioned this in ‘Wake Up, England,' to put it on record, as I believe the possibilities of tarred natural macadam are not yet realised even in England. Then we have the cemetery bridge. I christened this the tight rope at the time it was mooted. Fancy such an artery of traffic about the width of a decent dining room. It is inconceivable. There is sheer blindness, littleness, futility in this no ideal, no glimpse into the future. Then we have our Town Hall, in charity the less I say of this the better. I christened it ‘The Flat Iron,' and as such it will hang about the necks of those responsible for it. A more complete instance of the absence of ideals and foresight it would be almost impossible to find. I fought it tooth and nail by article and plan and model, by word and deed. What has Auckland now for her £100,000? A flat iron, deposited in a hole, where it is not seen an uninspiring thing, which cannot evoke any sentiment, but amusement or sorrow. That which might have been a crown to the city and an inspiration is an eyesore. “Auckland might be made a beautiful city, but she will want some ideals and some men. I was at Eastbourne recently on the magnificent front. Think of Auckland similarly treated, with a beautiful drive round the foreshore to St. Heliers Bay on the Tamaki, a bridge across to Northcote, and a drive round towards Takapuna Beach or beyond. What grander natural playground could be found than the Orakei basin? Why should not that marvellous health resort Rotorua be linked up with Auckland by a cycle track? If Rotorua were alive it would have it. My good friend Mr T. E. Donne, Rotorua's most able developer, has always been strongly with me in this. He asserts that it would be a solid investment for Rotorua. The fact is, the New Zealand public man is much too little, much too materialistic. He must be bigger. He must reach out into the future. He must feel for New Zealand, think for her, serve her, if he wants ever to make her felt amongst the nations. Mr Pierpont Morgan has given an eminent American professor an unlimited commission to prepare an illustrated history of the North American Indian. What is being done in New Zealand in this direction for the Maori, the noblest aboriginal race on earth? Very little. There is one man Mr Henry E. Partridge of Auckland whose collection of Maori portraits and pictures is unique. For 30 years he kept Herr Lindauer, an Austrian artist, painting them for him. But he has ideals. In time to come he will be known as one of New Zealand's big men. She sadly wants many more like him." Mr Hampton delivered his eighth lecture on drawing in the vestry room of All Saints yesterday evening, the attendance being quite as large as on former occasions. The subject of last night’s lecture was the proportions of villas and cottages and the lecturer in a very comprehensive and lucid manner described the various details of the architecture met with in New Zealand scenery. The diagram illustrations were also interesting and assisted the listeners in forming correct ideas of the proportions referred to in the lecture and how by a few simple rules an eye-sore may be converted into a pleasing feature of landscape. Mr Hampton's next lecture will be on prospectives. A fire broke out in the house of Mr John Somers at Huntly on Monday evening. After dinner Mr Somers, who "baches" by himself in the north end of the township, hung his working clothes near the fire to dry, and left the house. Shortly after his departure the clothes were found to be blazing furiously. With assistance the flames were soon quenched, little damage having been done to the house, and the owner losing very little of value except his pit clothes. As a contribution to the question so familiar to Anglo-Indians of where to go on retirement, we give below (says the Indian Daily News, Calcutta) an extract from a private letter, dated Tauranga, New Zealand, June 24th: "Should you happen to know any old Indians who are leaving the glorious East, and whose income will not allow of their living up to the mark in England, you may safely recommend them to come to this country. The climate is charming — warmer than Naples in winter, cool as Devonshire in summer. All English and semi-tropical fruits grow luxuriantly apples, pears, guavas, pomegranates. The bees gather honey all the year. The busy ones collect it from the clover paddocks and from the blue gum trees, and in quality, flavour, and colour, it is quite equal to the Narbonne. Any family with a capital of £2,000, and an income of from £200 to £300 per annum would enjoy life here. From 8 to 10 per cent, can be obtained on first-class mortgage securities. Five hundred pounds would buy a compact little estate of from 20 to 30 acres within a couple of miles from the town, and a property thus situated would early increase in value. A like sum would build an excellent 8 or 10-roomed bungalow, coach-house, stable, and outhouse. Two or three horses, and a like number of cows, would find plenty in the paddocks, and the owner, if energetic, might turn a dollar or two by cropping four to five acres in potatoes, or in mangles or turnips as winter feed for his milch cows, whose butter would find at that season a ready sale at 1s 6d per lb. Education is cheap, for the Government provides it gratis for all classes. The private schools have to considerably reduce their charges to induce parents to patronise them. Auckland and Otago possess first-class agricultural colleges. Should any of your friends or clients think of coming here I shall be delighted to answer any question pertaining to the place." The foregoing extract contains far more real information and sound advice than is obtainable by the ordinary means of pamphlets, guide books, etc. The idea suggested of men of education and moderate means coming to Tauranga is the very thing that is required. An advent of a few dozen families would work quite an effectual change, and would yield what is now so much in demand, namely, a settled community possessing tastes and experience, and an education formed by the Old Country model and drawn from its institutions. The correspondent is unquestionably right in the views expressed, and those who are thinking of Tauranga as a spot likely to provide the desiderata, will do well to bear in mind that, whatever the farmer proper may do (the man who has tilled and laboured his hundreds of acres), the counsel to the man of small capital and modest income is, you cannot commence with too little land, but the acquisition of too much is very simple, the "indulgences" of banks quite notorious, and the result a foregone conclusion. The man of education should not be ambitious beyond his powers if his income is small, his moral presence is great, and we are now in that state of transition from the primitive to the more enlightened modes of thought, and such an acquisition to our population would be far more acceptable than a millionaire or two. A stranger in a country printing office asked the youngest apprentice what his rule of punctuation was. Said the boy, "I setup as long as I can hold my breath, and then I put a comma; when I gape, I insert a semicolon and when I want a sneeze I make a paragraph." "Where to Go on Retirement from H.M. Service." The other day I chanced to pass through the suburb in which I spent a happy childhood, and which I have avoided for many years, dreading to revive memories of a family that was in days now incredibly remote. I need not have feared. The difficulty, after some fifteen years' absence, was to find any familiar landmark on the whole eight acres or the surrounding country. Some time ago, the old house went up in red flames that, rejoicing in the sound and seasoned timber, lit the sky for miles around. I was glad not to see it standing tall, shabby, and aloof, above the aggressive newness of the clustered villadom beneath. For the whole countryside is smoothed into a smug uniformity of concrete paths, wireless masts, and hot little rock gardens. The bright vacuity of suburbia has replaced the spacious untidiness of an ampler era. Gone is the old pump in the poplar-shaded hollow, with its grim legend of darker deeds on a dark night. Rather morbid, it may be suggested, the sentimentality that bewails the obliteration of the scene of a murder but at least the place had character then. H.F.C. "Those Were the Days." Auckland Star, 10 November 1934, 1. By the departure of Mr James Hugh, of Palmerston North, who left to-day in the Wakanui, New Zealand loses a valued colonist, who has spent many years in this province. Mr Hugh was somewhat of an antiquary, and in his house, which was built in the style of a Swiss chalet, he had many art treasures, and some rare pieces of carved furniture centuries old. The old furniture has been disposed of in the colony, principally in Wellington and Dunedin; but the rarer pieces of pottery and bric-a-brac Mr Hugh is taking with him to Switzerland. Mr Hugh intends to settle near his old home at Lake Neuchatel, where His sister, a well known Swiss artist, resides. There has been an artist in the family for hundreds of years, and the works of Miss Hugh have been honoured with a place in the National Gallery. What might have proved a serious fire was averted by the prompt action of Mr T. Sheen. of Temuka. He occupies the tent and tarpaulin premises of Mr J. Brown and “baches" on the premises. At one o'clock on Sunday he had just removed a baking dish from his stove.This he placed on a shelf erected in a disused passage leading to what was originally an outlet to the dwelling house. A few minutes afterwards he noticed a smell of burning, and found that the paper on the shelf and on the adjacent wall had ignited, presumably from a spark left on the dish, and that the flames had already secured a hold on the lining boards. Mr Sheen was fortunately able to put out the fire, but not before some boards had been burned through. What is a bungalow? To this question a naive answer was given in the Supreme Court yesterday, during the hearing of an action in regard to the sale of a Parnell house. A witness had described the place as a “good, average, jerrybuilt house." Mr. Justice Herdman suggested that there were three types of houses—the good house, art bungalow, and a jerry-built place. Then it was that the term "bungalow" came in for discussion. The witness volunteered the information that bungalow was only a fancy name used to induce a purchaser to buy. The cynic may read my heading and say it reminded him of the old story of the man who looked at a tombstone bearing the inscription. "Here lies a lawyer and an honest man.'' ''I wonder," he said, "why they buried those two men in the same grave.'' There would be much justification for such a gibe, for in innumerable cases, especially in this part of the world, art has no part in the making of a building. The position of the art of architecture is peculiar. Not only is there no branch of art about which there is more popular ignorance and indifference, but in none is the identity of the artist submerged to the same extent. The names of great painters, of great writers, are known to everybody with any pretence to education and culture, but how many people know the names of half a dozen of the world's greatest architects? The average Briton a few years ago was familiar with one name, Sir Christopher Wren. If he recognises another to-day, it is because Sir Edwin Lutyens designed the Cenotaph in Whitehall. Take our own modest achievements. What proportion of Christchurch people could tell you who designed the Provincial Council Chamber, which is probably the most beautiful building in New Zealand? Possibly you might find a wider knowledge of the authorship of the Anglican Cathedral, and you might be agreeably surprised if you went to Dunedin and asked who designed the leading churches there. I confess I do not know who designed the Supreme Court at Auckland, and I am certain that ninety-nine per cent of Auckland people share my ignorance. This ignorance and indifference are attracting some attention in England. A year or two ago Mr. W. J. Locke, who is an architect as well as the author of "The Morals of Marcus Ordeyne" and "The Beloved Vagabond,"' appealed to the Press to educate the public in the principles of architecture, as it did in the principles of other arts. "Of all the arts," said the "Manchester Guardian" a few weeks ago, "architecture is the only one whose achievements from year to year pass almost unreviewed in the general Press. New books, new plays, new pictures, and new music are, as a matter of course, subjected to serious criticism in every daily newspaper which values its reputation. Yet architecture, the parent art, is also the one art whose products we all see every day, without going out of our way or paying at a door.'' More than this, architecture is the one art from which you cannot escape. You are not obliged to go to the theatre to see "Sunday" or "The Girl Who Took the Wrong Turning.'' If in your maturity you tire of "Napoleon Crossing the Alps,'' or "In Love" or "His Majesty the Baby," which you once thought beautiful, you can put the picture under the house. But you cannot get away from the exterior and interior of buildings. You have to live in them and with them. Every day of your life they please you or annoy you, or in a subtle way, unknown to you, influence your taste. Architecture has been described as frozen music. It might be added that it is immovable. To live in an ugly house is like having to live with a gramophone that unceasingly grinds out ragtime. The power of the architect or the builder to beautify or to make ugly is therefore illimitable. Is it not strange, then, that there should be so little interest in architecture? It is quite common to find a man prepared to spend two or three thousand pounds on a dwelling, to say nothing of larger sums spent on other kinds of buildings, without the assistance of an architect. What, he asks you, is the good of an architect? He (the spender) knows what he wants, and he can trust his builder, so why worry? That there is an art in designing a house, and that it requires special training—to say nothing of other reasons why it is advisable to employ an architect—does not occur to him. Far be it from me to suggest that all architects are artistic, or that many a builder cannot erect just as good a house as some of them. There are architects and architects, just as there are doctors and doctors. What I am pleading for is the recognition of the architect's art as necessary to the community, the raising of the standard of his competence, and the education of the public in the principles of architecture. Under our laws, while no one but a licensed plumber is allowed to put in a drain, anyone can design the house to which the drain is attached. I am not saying no one but trained architects should be allowed to design: the objections to such a proposal are pretty obvious. But there is the anomaly. Drains, being tangible and material things, are of more importance than dignity and beauty. The public, as I have tried to show, cannot be entirely blamed for its ignorance and lack of taste. How is it to get easy access to the principles of architecture? Recently there was formed in England an Architectural Club, composed of leading architects and a number of writers and other persons interested in the art, the object being to enlarge public appreciation of good architecture. The movement promises well. Why, asked a famous London editor at the first dinner of the club, should not architects sign their works? Why not, indeed? It would certainly add to the interest of a Sunday afternoon walk in Auckland's suburbs if every house bore the signature of the designer, be he architect or builder. Then we should be able to sheet home the pepper-pot towers, the carbuncle bay windows, and the wedding-cake decoration round the verandahs. There is this to be thankful for about architecture in New Zealand, that the last generation has seen a marked improvement in domestic design at any rate. The old stereotyped box house, and the “T"-house and '"return verandah" type, with their monotonous-and wasteful interiors, their narrow, little-used verandahs, their ugly roofs, and the tasteless over-elaboration of their detail, are not nearly so common as they used to be. The bungalow style has revolutionised and wrought a vast change of the better. But the bungalow is being widely vulgarised. Hundreds of houses are going up that are meant to be artistic, but are merely ‘arty.' 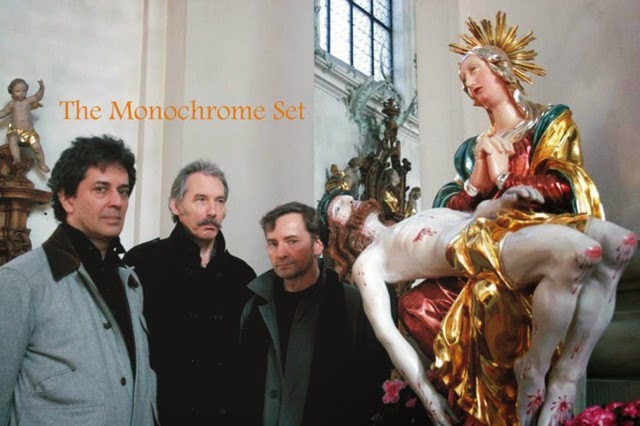 They are pretentious, overloaded with ornament, finicky in design, restless in outline. Perhaps the besetting sin of our domestic architecture is violation of the laws of line. Instead of getting simplicity and dignity and beauty of line, people will break their houses into innumerable angles and excrescences and fiddly faddly little ornamentations and sometimes make the design all the worse by painting it in half a dozen colours. The old-fashioned house was a plain woman, but often she was soberly dressed. Some modern bungalows are like a woman who wears in the street a summer picture hat, a winter fur coat, and silk stockings and suede shoes. Surely something could be done to spread knowledge of the elements of design. It is rather difficult to remember what actually started the fashion so much in vogue now, of the useful dining sitting-room, with the cosy supplementary breakfast room. I rather think it was the difficulty of getting good domestic help that had most to do with it; but of course the new styles of architecture came into the question largely too. With the bungalow era came the greatly increased prices of timber. Gone were the days when anything but heart of kauri was discarded; when stables and piggeries were built of best "seconds." With greater expenses, space had to go. Every inch had to mean something, and modern ideas of hygiene demanded more bedrooms, so in modest-incomed homes the drawing room and the hall had to go. From their kindly contribution of space the architect evolved all sorts of "extras," some merely artistic, others very useful. But like all innovations, the bungalow became too exaggerated. It grew out in all sorts of queer unexpected places, bumps, lumps, all sorts of excrescences till, to use an Irishism, all the room inside was outside. The writer remembers an avenue in a fashionable suburb where the houses (all bungalows, on a slope) looked as if the architects or builders had partaken too liberally of lobster salad and dreamed their plans. While the bungalow style of house did good work from a health point of view, by providing all sorts of outdoor nooks and sleeping porches, with its right hand; with its left it did away with the lungs of the house, and it depressed interiors with its too low browed eaves. "Sweet and picturesque? "— Yes, quite, "outside," but low, sunless and gloomy within. Those artistic windows, too, with their mullioned frames, their leadlights, and bull's-eyes—how they add to the attractive exterior, but how prison-like they are on dull days to those behind them. How absurd the windows, placed too high to see out of! Fortunately this fashion in windows is rapidly going out, and though the good old sash-window, which you could open in all weathers at the top, is pushed into the background for the time being, bungalow windows of today are placed more in the line of vision than they were. The lungs, of course, are the hallways. It was not a good move this, for nothing, can give such privacy— nothing can air a house as the hallways can. I remember a dear old lady who spent a month's visit at a very up to-date bungalow. "My dear," she said, "I was glad to get home; my nerves were in shreds. We all seemed to be living in one room." Yet with all in sensible moderation, the bungalow is a pretty style of modern ideas, and for the man of small capital it presents the possibility of getting away from the awful sameness of the streets and streets of the old style of architecture all built on one plan. The wonder was that each remembered his own front door, and that many escaped cracked heads by absolutely going unceremoniously into Smith's when all the time he was Jones from next door. Do you know where bungalow town is? It is bounded on the north by the Hape Rivulet, on the east by a view of the cemetery, on the west by a stream with an unpronounceable—and unspellable —name, the first syllable of which rhymes with cow, and on the south by everywhere else. Bungalow town is a delightful suburb. It is here where you can see houses of the genus Bungalow in the greatest profusion and most charming variety. They seem to be contending with each other in vaunting their attractions. You come upon one that takes your fancy, and causes you to break the tenth commandment, but as you continue your peregrinations you see others, and still others, for which you would sooner fracture the aforesaid commitment. It was all very well for old Moses to tell us not to covet another's, goods, but then he had no experience of Bungalow town, or he would surely have modified the restriction. The bungalows of Bungalow town are not all homes of the idle rich, as one might suppose. They belong to those who earn their bread by the labour of their hands, the sweat of their brow, or the working of the grey matter which we are told it [sic] our brain. They take a justifiable pride in their homes, do these bungalows. Go around Bungalow town in the early morning before the milk has been delivered, and you will see energetic residents stripped to their singlets, industriously digging in their gardens. Or go along again after dark, and you will perhaps come across them with lanterns chasing the festive snail arid the slimy voracious slug, consigning each to a well deserved doom. You will also, if you are observant, come upon a rose garden, presided over by the genius who instruct the young bunglers— no Bungaloites—in all things they should know here below. In addition to this he also inculcates the duty of keeping honour bright. Genius did I say? Yea, verily, for a genius is one who has an infinite capacity for taking pains, and who can cultivate the Queen of flowers successfully if he does not? But this-is a digression, a wandering in rosy walks and flowery by-paths, inexcusable when bungalows are the subject of discussion. But what is a bungalow? Turn to that good friend the dictionary, and we find the word to be one of Bengali origin, "Bangalah," a residence of a single floor, and surrounded by a verandah. Simplicity itself! But not so the bungalows of Bungalow town. Here the, verandah gives place to fanciful ornamentation, pillars uphold projecting caves, capes, and promontories jut out in unexpected places, and where verandahs should be, you find broad outdoor rooms. Elaboration is the key note, sometimes resulting in a pleasing production, at others presenting a grotesque appearance. If a bungalow should be what the dictionary tells us, is not the name as applied to the fanciful specimens of architecture under notice just a bungle? But there what of that? Shut up the dictionary, and accept the fact that the bungalows of Bungalow town are a pleasing feature of Thames architecture, all the more or so by contrast with the common or garden variety of dwelling to be met with everywhere else. In less than a generation an utterly new housing question has arisen—the housing of motor-cars. 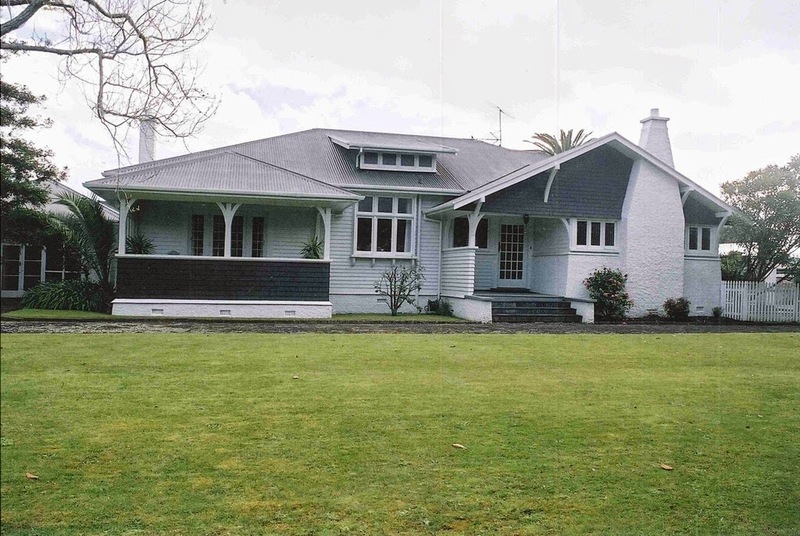 Original bungalow architecture never contemplated car-houses on the street frontage, and thousands of homes in New Zealand suburbs have had their frontal aspects utterly changed by the addition of motor-kennels to the floral attractions of the front garden. No one has yet drawn any cultural conclusions concerning this architectural and landscape innovation; but certain it is that such an addition in front of the bungalow was not part of the ideal home plan of thirty years ago. Perhaps society is not so much cultural as utilitarian; and the certainty that no consideration whatever will stand in the way of the housing of cars —whatever happens to other forms of housing—has caused the City Council to provide for twenty-odd garages in its latest concreted street wall, in the lower part of Sydney Street. These cave-garages may or may not be bomb-proof, and may or may not be gas-proof, but they at any rate do not stab the landscape. Criticism of the effect of twenty-odd garages on through traffic in the street is met by the statement that in that part of reconstructed Sydney Street there will be no through traffic at all. There is scarcely a woman houseworker in the world who, if asked, would not be able to give a concise description of her conception of the ideal house from the housekeeper's point of view. After all it is the housekeeper whose work is centred in the home, and she ought, above all people, to be consulted in the drawing up of architectural plans, says an exchange. Women are becoming more and more interested in architecture, both from the artistic and the utility point of view. Among the number of women who have taken up house designing as a profession, two notable names are those of Miss Chapman who began her work some twenty-five years ago over a draughting board in an architect's office in Boston, and Mrs. May Cane, one of our most distinguished British women architects. Mrs. Cane, who has been elected the first woman member of the Concrete Institute for Architects and Engineers, had no special training for the profession of which she is a distinguished member. She has always taken an interest in architecture, especially from the point of view of adapting the construction of the house to labour-saving devices. Mrs. Cane is the designer of a new type of bungalow with fitted furniture, adapted to save domestic labour. The idea is to build the furniture into the dwelling, so that there is nothing to move, no space for the accumulation of dust, cupboards are under the fixed bed, chests of drawers form part of the dressing table. The kitchen is a model of labour-saving appurtenances built into the room. Bookcases, and even settees, are part of the structure, and not of its movable appointments. A fad which is just now receiving considerable support from a certain class of people is the formation of what are called 'bungalow villages.' 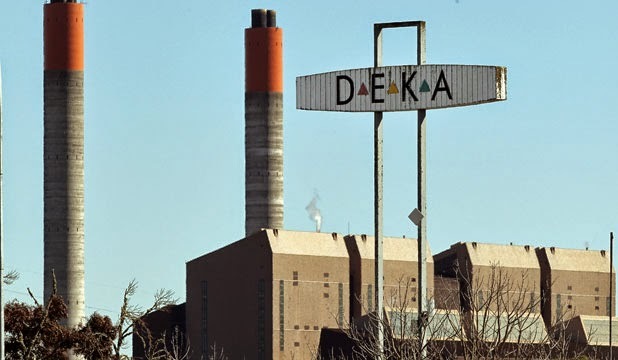 The idea is said to owe its origin to a few ladies who, desirous of living in the country, were prevented from doing so on account of the high rents, and heavy railway fares. Accordingly, a scheme occurred to one of them to erect wooden frame houses (or iron if preferred) in a retired spot, miles away from an ordinary habitation, and it has since been carried out, two or three streets of this description being now in existence about twenty-five miles from Charing Cross. The ground, of course, is either obtained on lease or the freehold bought, and the total expense is said to be considerably under £20 a year. Addition to telephone exchange list:— No. 322 Miss Williams, private residence, Hukarere. In the House last evening Mr Seddon gave notice to move that the resolution with reference to morning sittings be rescinded. The Hon. A. Pitt's Cigarette Smoking by Youth Prohibition Bill was read a first time in the Legislative Council yesterday. At the monthly meeting of the H.B. Philosophical Society on Monday evening next the Rev. Herbert Williams, of Gisborne, will deliver a lecture on “The Fourth Dimension." The Rev. J. Hobbs, of Hastings, writes asking us to state that he has successfully arbitrated between the parties to a breach of promise suit which was set down for hearing at the next sessions of the Supreme Court. The rev. gentleman states that he has acted as a friend to both parties, and that the case will not be heard. Mr W. Stock having found a great demand for his Golden Grain butter has decided, for the convenience of his many customers, to establish a delivery service on Tuesdays and Fridays. Orders left at the depot in Hastings Street will receive prompt attention. A private letter received by a Napier resident from a friend residing in Christchurch gives a striking example of the prevalence of influenza in the Cathedral city. The writer states that one of the employees of the Gas Company during the course of his rounds visited three hundred houses one day, and of that number only three of them were immune from the ravages of the grippe. General cables and telegraphic appear on page two, Transvaal war news and an article re the great Siberian railway on page three, on page six an article by Dr. Koch dealing with the treatment of consumption, and Parliamentary and telegraphic on the seventh. It is always pleasing to notice any of our local talent being called into requisition in other districts. We have just seen a pen and ink perspective drawing by Mr C. Tilleard Natusch, architect, of Napier, of a country house in the half timber style which is now being erected near Feilding for Mr Godfrey N. Pharazyn. The drawing will be on view at Mr Crerar's, in Hastings street, for a few days.